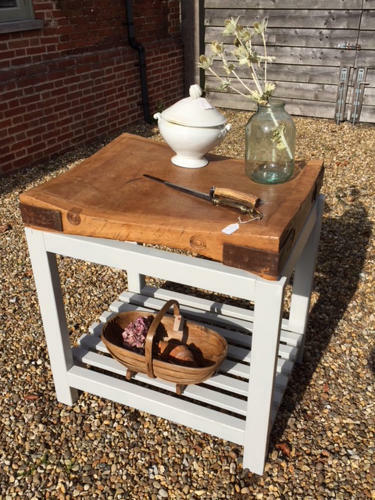 Victorian Butcher's Block on later base with pot board. Lovely patina and well worn characterful curves to the block which is tight and can be used for chopping or as a feature table. Still has the original roundels in place on the sides.